Grange Auto Insurance offers several different types of discounts for qualifying drivers. Most customers will find that they are eligible for more than one of these special discounts, which can help reduce car insurance costs dramatically. If you successfully complete an accident prevention class, you could qualify for a discount through Grange Auto Insurance. Drivers who take the National Safety Council Defensive Driving Course are also eligible to take advantage of the defensive driving discounts offered by Grange. Drivers must present proof of successful completion of the courses before Grange will apply the accounts. Some states do not allow insurance companies to offer discounts for defensive driving classes. Check with your local agent to see if you can qualify for a defensive driving discount in your state. Grange offers a special discount to drivers who are accident free for a certain period. The drivers must also avoid any moving violations during the same time to maintain eligibility for this discount. In some states, younger drivers may not qualify for this discount depending on the state's policies on minor traffic violations. In general, though, drivers who maintain a clean driving record for three years or more will be eligible to receive substantial discounts on their car insurance coverage through Grange. Anyone who can make it through that time without filing any insurance claims will automatically receive this discount. You might be eligible for a special discount if you drive a vehicle powered by a combination of electricity and gasoline. Grange offers this discount as a way to encourage drivers to be ecologically responsible as they choose the vehicles they drive. Hybrid drivers have a pattern of driving more carefully due to the size and expense of their vehicles. Hybrids also have fewer tendencies to be driven too fast or recklessly because their engines are not as powerful as traditional gas powered engines in most cases. 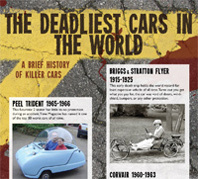 Since the cars drive less recklessly, the accidents they are involved in are generally less severe. Customers who agree to pay for a full year of insurance coverage receive an automatic discount with Grange. These customers do not have to pay extra fees for the handling of their monthly bills through the insurance company. Paid in full customers also have the peace of mind that their insurance coverage will not experience any lapses due to accidental non-payment of a monthly bill. Grange is happy to offer a discount for customers who take advantage of this opportunity that benefits the insurance company and the customer. Passenger safety can reduce the cost of claims after an accident because it reduces the chance for injuries. Grange offers a discount for customers who equip their vehicles with passive restraint systems to keep their passengers safer on the road. Automatic seat belts ensure that each passenger is protected in a collision. Driver and passenger air bags prevent serious injury in the case of a fast stop during traffic. The discounts that Grange offers for customers who employ passive restraint in their vehicles paired with the added safety for everyone in the car makes this discount worth more than the money it saves you. High school and college students can reduce their car insurance payments simply by earning excellent grades. Any student who is 25 years old or younger can qualify for this discount by maintaining a B average or better. Only students enrolled full time can qualify for this discount. Each semester, the student will need to present proof of grade performance in order to remain eligible for this special discount. Students can qualify for the discount at any point in their high school or college careers as long as their grades are high enough during the current semester. 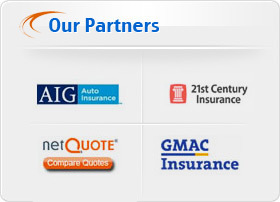 Grange offers life and home insurance as well as auto insurance. Customers who take advantage of the opportunity to consolidate all of their insurance needs with Grange earn special discounts on all of their policies, including their car insurance. Homeowners receive a discount for owning a home in addition to the multiple-policy discount. If you own more than one car, you can save money on your insurance policies by adding both vehicles to the same policy. All car owners must have your address as their main residence, and they must be related to you by blood or marriage.